BEHEMOTH to release “”The Satanist” in fall !! North America. The CD is being recorded at Hertz studio in Bialystok, Poland with the help of the Wieslawscy brothers and Daniel Bergstrand (MESHUGGAH, IN FLAMES, SOILWORK, STRAPPING YOUNG LAD). “It took us over two decades to come up with a title that… says it all,” comments BEHEMOTH guitarist/vocalist Adam “Nergal” Darski. “While our new songs artistically take surprisingly adventurous directions, our message stands steadfast — proud and radical. “‘The Satanist’ stands for undying yearning for liberation and love for freedom in all aspects of life. Paul Bostaph back at SLAYER !! Slayer’s Tom Araya and Kerry King are very pleased to announce that Paul Bostaph has rejoined the band on a full-time basis. Bostaph will be behind the drum kit beginning June 4 when Slayer kicks off the first leg of its 2013 international tour in Warsaw, Poland. Gary Holt will continue to fill in for fallen guitarist Jeff Hanneman. Slayer’s 2013 itinerary will have them playing 35 dates that will include headline shows as well as a number of major summer festivals in Europe, Eastern Europe and South America between June and October. The complete itinerary is below. Bostaph was Slayer’s drummer from 1992 until 2001 and recorded four albums with the band – the Gold certified Divine Intervention (1994), the 1996 punk covers album Undisputed Attitude, Diabolus in Musica, (1998), God Hates us All (2001) that received a Grammy nomination for “Best Metal Performance,” as well as the DVD War at the Warfield (2001), also certified Gold. In addition to Slayer, Bostaph has been a member of Forbidden, Exodus, Systematic and Testament. 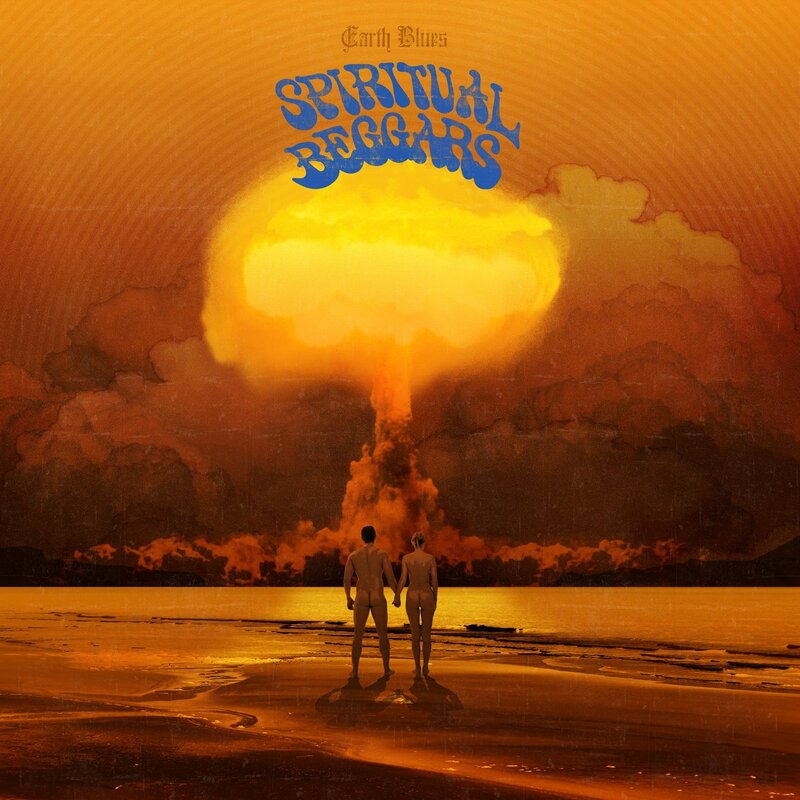 A new Spiritual Beggars album could mean two things. An equivalent continuity to “Return to Zero” or a return to a form of sound that the old fans would kill for. So, it’s not wrong to give to “Earth Blues” the description of back to the roots. From the songs to the production the album sounds as it should be and on the way the members chose it. Even Apollo Papathanasio sings on a way to give the right tone, has a different performance from the posh one of the previous album. He tries something making his voice reaching its limits and in some songs it’s lovely (as in “Hello Sorrow”, “Road to Madness”, “Freedom Song”) while in some parts he sounds not as lively as would like him. But, as it is known for every performer, the stage is the place where showing the real image of the voice. As every SB album has the songs that make the fans listening to and singing them all the time, the same thing is happening here. From the Hendrix inspired riffing of “Turn the Tide” to the melodic lines of “Hello Sorrow”, where Michael Amott proves again that Michael Schenker has led him to create some of the most remarkable melodies in his music. Moreover in the cover SB did in “Dreamer” (Bobby Bland’s song”) Michael plays a solo that leaves a personal sign and simultaneously Per Wiberg makes the song heard like belonging to the band. If you are a huge supporter of Per’s playing then be sure that “Kingmaker” will be one of your favorite songs. It carries an atmosphere of Deep Purple and Urian Heep. All the guitar parts, the keyboard parts and the drumming parts are great with no fillers; sharing to the human mind the real heavy rock sound of the first three albums that can make any one of you at anytime wiggling your body, while you are already in the rhythm. And the song that will lead you to the prime time of your dancing is “Too Old to Die Young”. The song that easily is in the top 5 ones in the history of SB. Its riffing, the creamy middle of it and the spurt in the end are a side of perfection. After that you don’t have to ask anything from Michael Amott and his band. Just try to catch them anywhere near by you. PEGAZUS Introduces New Vocalist ! The Australian Heavy Metal outfit PEGAZUS have announced today that they proudly introduce their new vocalist AXEL WINTER to the Metal community. Axel will replace Justin Fleming, who could be heard on the debut album and the latest release “In Metal We Trust. Guitarist and founding member Johnny Stoj about the singer-switch: “Although we are laid back Australian guys, we have always approached our music with 100% dedication, passion and loyalty. Heavy Metal music and our fans deserve nothing less than that. This has always been like this for us and that will never change. When you are in a band, you have lots of commitments: you have to give 100% on and off stage, you have to keep improving yourself as a recording artist and entertainer, you have financial responsibilities, you have to be loyal to your band mates and of course the fans, you have to be available for the band on all occasions … I’m very thankfull that we have found this all back again in Axel. He came on our path, we have been rehearsing and he fitted like a glove”. 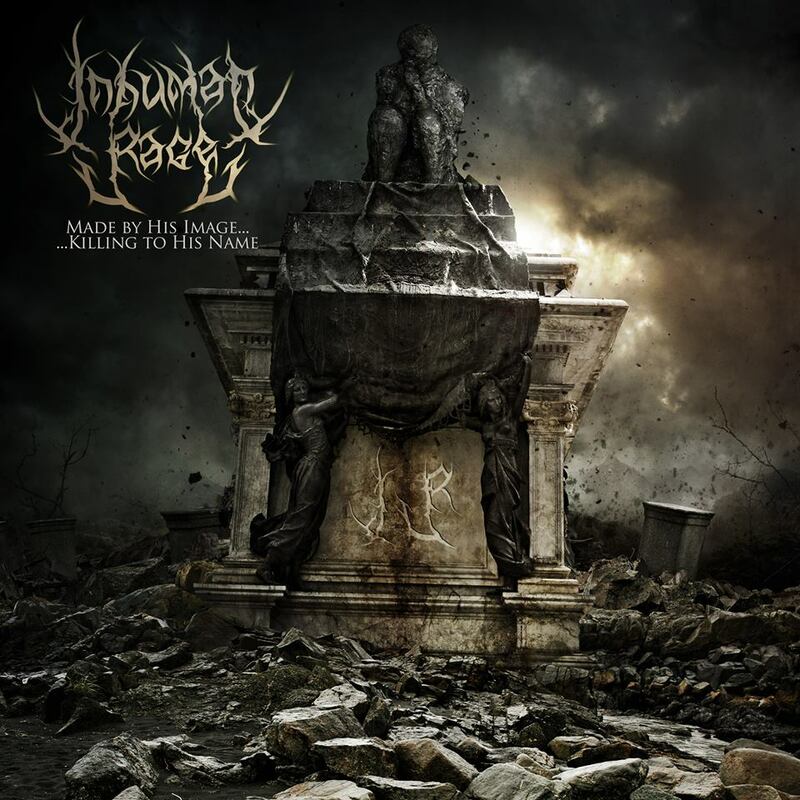 The Greek thrash/death metallers Inhuman Rage are happy to present us the cover of their debut album called “Made by His Image… Killing to His Name”. The artwork was designed by legendary Colin Marks, who also has designed artworks for Nevermore, Jeff Loomis, Exodus and other bands. The band is about to begin the recordings of the album this weekend. Stay tuned for more information about this promised band and their debut! PANZERCHRIST announce new album ” The 7th Offensive” ! PANZERCHRIST ANNOUNCE NEW ALBUM ‘ THE 7th OFFENSIVE’ ! Danish CRUSHING death metal mercenaries PANZERCHRIST are releasing their 7th album entitled ‘7th offensive’ on July 15th on Listenable following their previous and much acclaimed ‘ Regiment Ragnarok’ album in 2011. PANZERCHRIST used three different studio to complete their new assault: ‘The 7th Offensive’ had guitars and bass was recorded in the Igloo by HR Swan, drums were recorded at AMP studio by Jens Förster and Markus Ziemer. and vocals and the final mix were done in Death Island Studio engineered by Marco Angioni. Although very extreme musically on a constant basis, PANZERCHRIST have never quite done the same album twice. ‘The 7th Offensive’ shows a slightly more melodic and evil tainted approach on the guitars , enhancing the grey , sinister feel of a battlefield . It definitely sounds bleak. The band also welcomes back ultra guttural and pure death metal vocals. Make no mistake, PANZERCHRIST ‘s new album retain the violence and über brutality the band has been known for .